This city hotel is a small and cosy Victorian property, with many original features. It was built in 1857 and renovated in 2002, and comprises a total of 17 rooms. It is an excellent location, suitable for both business and leisure guests. It offers a.. The hotel is ideally situated in a residential terrace in Bayswater, just a few minutes' walk from Hyde Park, Kensington Palace and Whiteleys shopping centre.Bayswater and Queensway underground stations and various buses provide easy access to all of.. This hotel is located at the heart of London within a few metres of Hyde Park, just 50 m from links to links to the public transport network and bars and shopping venues are to be found 100 m from the hotel.Built in 1800, this hotel comprises a total.. Simple hotel in Bayswater, near Hyde Park. 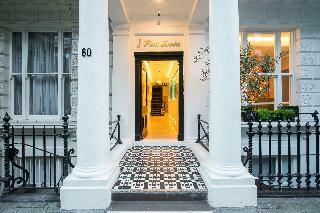 This simple hotel is located in Bayswater, within a walking distance to Hyde Park. All rooms are equipped with bath or shower, wc, colour TV, telephone, tea/coffee tray and hairdryer. Underground: Queensway/Lancaster.. 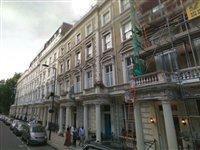 The hotel is located in the heart of London near Kensington Palace and Hyde Park. The nearest underground station is Bayswater. The Royal Albert Hall, Victoria & Albert Museum, Science Museum, Natural History Museum, Planetarium and Madame Tussauds are..
##Location. Leisure Inn Hotel is located in London's Bayswater - Paddington neighborhood, close to Whiteleys Shopping Centre, Kensington Gardens, and Royal Albert Hall. Nearby points of interest also include Buckingham Palace and Trafalgar Square. .. This privately-owned and friendly hotel is ideally situated close to fashionable Kensington and lively Earls Court. The Hotel Lily offers guests a convenient location when visiting London; be it on business or pleasure. Lying adjacent to Earls Court Exhibition.. The hotel is a 10-minute drive from Wembley Stadium, and Harrow-on-the-Hill Station is about 800 m away. 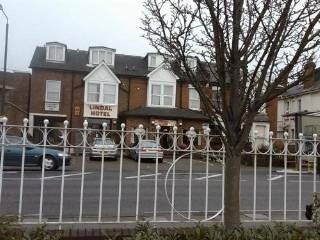 Situated just outside the centre of Harrow, this family-run hotel is 16 km from London Heathrow Airport. St Ann's and St George's Shopping Centres..